Since breaking ground on the new $4 billion Central Terminal B at LaGuardia Airport in New York on June 1, 2016, LaGuardia Gateway Partners (LGP) has made significant headway with the build, and made a number of new improvements inside the terminal. Vantage Airport Group is part of the team that led LGP to financial close and lease commencement of the project, a public-private partnership with the Port Authority of New York and New Jersey. Vantage is an equity shareholder in LGP, and is overseeing the $4 billion construction project and managing operations of the terminal through 2050. To make way for the new world-class headhouse, the existing P2 parking garage has been demolished and construction of the new structure is underway. And, vertical construction of the new Concourse B and West Parking Garage has begun. With mass construction outside the terminal, operations for the nearly 15 million annual passengers inside the terminal will stay the same, with a number of key improvements to the building. 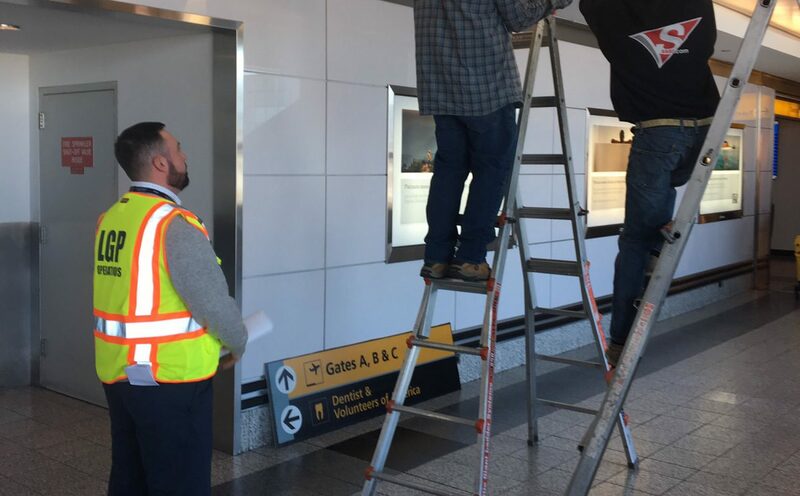 New Yorkers and travelers to New York will be familiar with the terminal’s “idiosyncrasies” that have developed over time – “quirks” like leaky ceilings or corridors without much lighting. LGP, supported by Vantage, is taking aim at these with a $5 million dollar investment in the existing terminal that will improve the passenger experience until the new terminal opens. Since June 1, 2016, LGP has been fixing the leaking ceilings, upgrading the HVAC system, painting the walls, installing new lights in the bathrooms and adding more charging stations. Importantly, this period also enables LGP to test new concepts and see what works best before plans for the new terminal are finalized. Since signing the lease in June, LGP has been conducting trials on different elements that impact the passenger experience – from experimenting with various types of chairs in the food court to refining new innovations like beacon technology that allow the team to track and share wait times for TSA screening and taxis. Through our experience with 31 airports around the world, we know that these pieces matter to passengers because they can make their journey more comfortable. Simply put, Vantage and LGP are getting to know the tastes of customers so that, by the time the new building opens, we have incorporated their needs into the new facility.